Founder Institute will host their second event in the #VegasTech community on November 13, 2014 starting at 6:30 pm. Mark Rowland and Sara Hill are the Las Vegas Directors of Founder Institute and organized this event. Las Vegas has a fast growing startup ecosystem, and entrepreneurs who do business in the city have many resources available to help them in their journey. However, many people don’t know about all of the resources available, the differences between them, or what resources are right for them. “At How to Start Up in Las Vegas, we will gather representatives from different entrepreneurial organizations to give a quick overview of who their audience is, and then host a panel moderated by a top local journalist to discuss the startup ecosystem and the opportunities available,” Sara Hill said. The organizers invite anyone who wants to learn more about what it’s like being an entrepreneur, how to get something started or wants to learn more about running a startup in Vegas to attend this event. The speakers for the event are Fred Cook and Jacqueline Jensen. “Fred and Jackie have been a huge part of our startup and tech community and have great perspective of what it’s like to run a startup in Vegas,” said Sara Hill. Fred Cook said he couldn’t have started his entrepreneurial journey without having support from other people who had walked down the same path he was about to take. 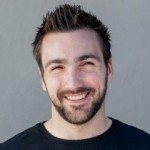 “A good community of mentors is absolutely essential to a successful startup ecosystem. FI has created enhanced startup ecosystems all over the world, so it’s very exciting for this opportunity to finally land in Vegas,” he said. Learn more about this event and register to attend here. 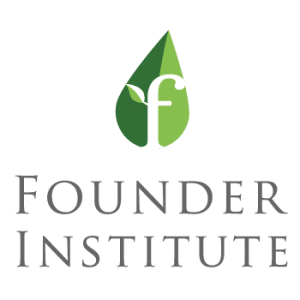 About Founder Institute: The Founder Institute is the world’s largest entrepreneur training and startup launch program, helping aspiring founders across the globe build enduring technology companies. In our four-month, part-time program, you can “learn by doing” and launch a company through structured training courses, practical business-building assignments, and expert feedback. Plus, you are not required to quit your day job to participate.